The color scheme of this Fresh Beer Menu Template is designed in shades of amber light ale and just spilled from a barrel bitter dark beer. 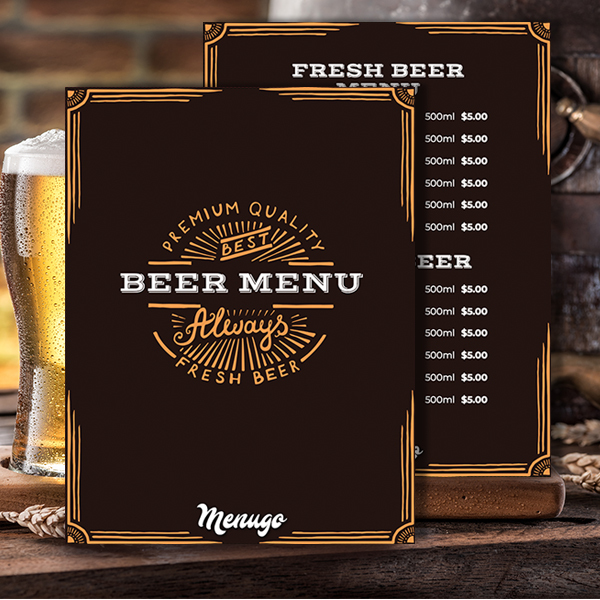 This is a stunning template for your brewery or bar. Use the size of the placemat to show the menu because it's really so simple and convenient.